When you need a faucet or sink installed or repaired call us. Tired of waiting for water to heat for tea or cooking uses? 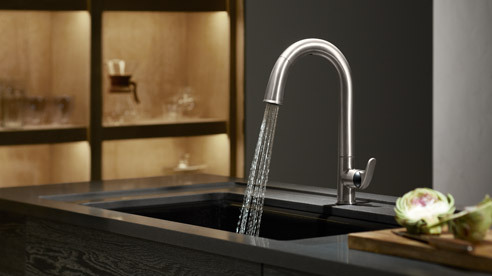 we can install a hot water dispenser in your kitchen to offer the convenience of ready hot water whenever you need it. Is it time for an update for your faucet? Call us. If it's just dripping, you can usually just replace a washer or other seal. Don't worry if you need to replace the whole thing though. The procedure is pretty straightforward, especially if you have the right tools. Your faucets and showerheads should also produce a proper stream of water at a pressure that is suitable to your liking. You cannot abuse your faucets or sinks and expect them to stand the test of time. Most of the problems that occur with these units are due to extended use and improper maintenance. You should always look out for rust around your faucets and showerheads. The rust can be cleaned before it cuts into your pipe. You should also check for small leaks in your fixtures, and upon spotting one you should have it repaired as soon as possible, before it turns into a major issue, which will require more costly repairs.